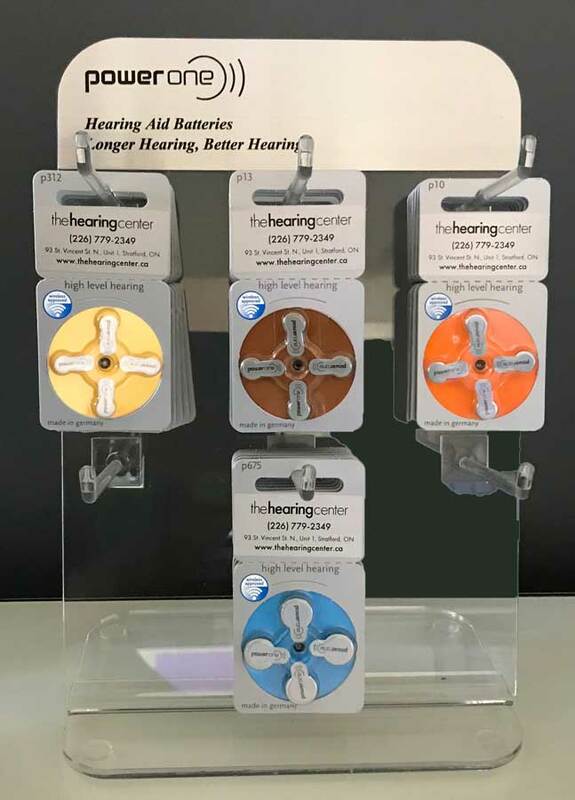 We have all sizes of hearing aid batteries: 10, 312, 13, 675. Available by the package or the carton. Save your used hearing aid batteries and drop them off at our clinic for recycling. We are located at the corner of Huron and St. Vincent Street in Stratford Ontario. Accessible. Plenty of Free Parking. Solutions for Every Budget. © 2016 - 2019 The Hearing Center. All Rights Reserved.